It can be based on customer's drawing. It can be based on customer's conceptual ideas and our engineer composes the drawing for approval. 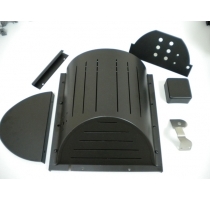 The metal parts can be supplied with painting to the required colors.